Rev. 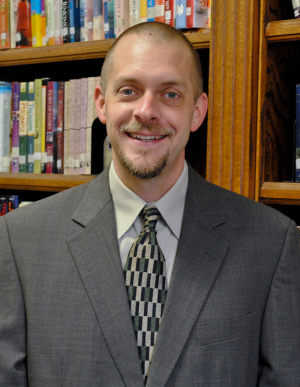 Brad Greene was appointed to Alpharetta Methodist as Vinebranch Associate Pastor in June 2016. Brad was born and raised in Woodstock, Georgia. The church (and specifically the United Methodist Church) has always been a central part of his life. Brad and his family were very active members of Bascomb UMC in Woodstock. After graduating from Etowah High School in 1991, Brad went to Florida State University and received a degree in Music Education. While there, the Wesley Foundation (the Methodist Campus Ministry) became an integral part of drawing him back into a closer relationship with Christ. It was also through the Foundation that he met his wife, Erica, who was attending FSU from her home in Central Florida. After graduating in 1995, Brad felt very strongly that God was calling and drawing him toward work in a local church. Brad has served local churches as Director of Music, Youth and Education at Commerce First UMC in Jackson County; Youth Minister at Trinity UMC in Cartersville; Contemporary Worship Leader at Dallas First UMC; Associate Pastor at Hillside UMC in Woodstock; and Pastor of Arbor Pointe Church in Braselton. Additionally, God’s calling on his life led him to attend Candler School of Theology — he graduated with a Master’s of Divinity in 2005 — and ordination in the United Methodist Church in 2008. Brad and Erica were married in 1997 and have two children. Ian is 15 and will be in the 10th Grade at Chattahoochee High School, and Joy is nine and a rising 4th grader at Ocee Elementary School. For fun, Brad enjoys riding his motorcycle, listening to music, hiking and photography. Dr. Don’s Retiring. What’s Next?